David has been managing the Digital Technologies team at Seventure Partners since joining the company in July 2012, as part of the acquisition of Masseran Gestion. David has been working in private equity since 2000, first with CDC-Entreprises where he was a Fund-to-Funds investor, primarily in venture capital and seed funds for six years and then with Tikehau Capital Advisors. In early 2008, he was involved in the creation of Masseran Gestion to launch its venture capital investment business. David worked at the Ministry of Defence for seven years, where he successfully led research and development projects in the field of electronics, followed by a period providing digital intelligence on economic and strategic matters. 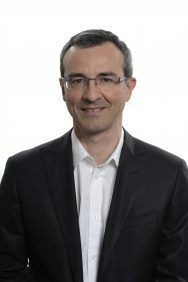 David graduated from ENSTA Bretagne and holds a Master’s Degree in Management of Technology and Innovation, the University of Paris IX Dauphine.